Go figure, it has been cold and rainy here for 12 days straight… TWELVE DAYS! 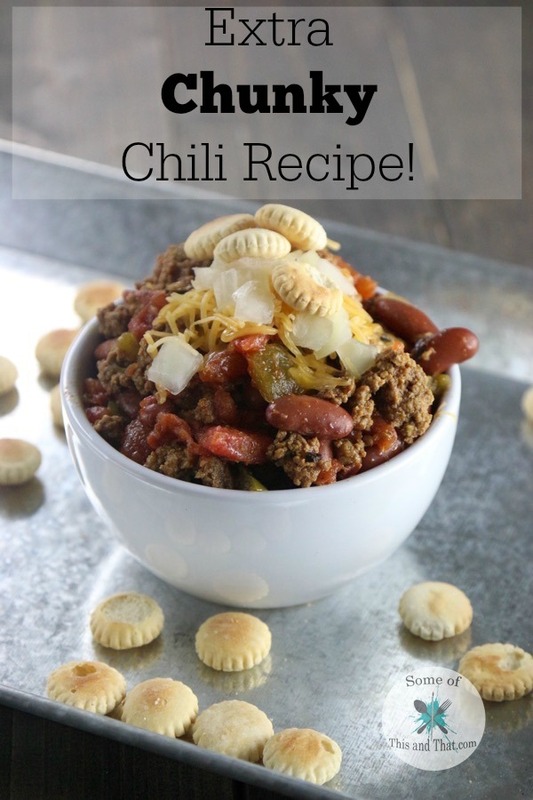 So of course that means it is chili weather and this Extra Chunky Chili Recipe is both filling and yummy! Of course, I made it and now it is sunny and warm, but I am not complaining! I like a hearty chili, the kind you can eat with a fork. 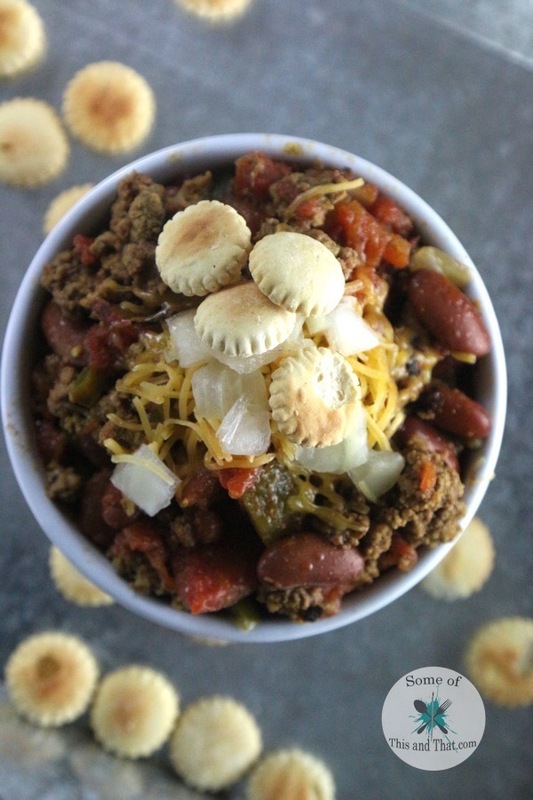 I could just never get on board with a soupy chili, that is not chili…it’s soup! 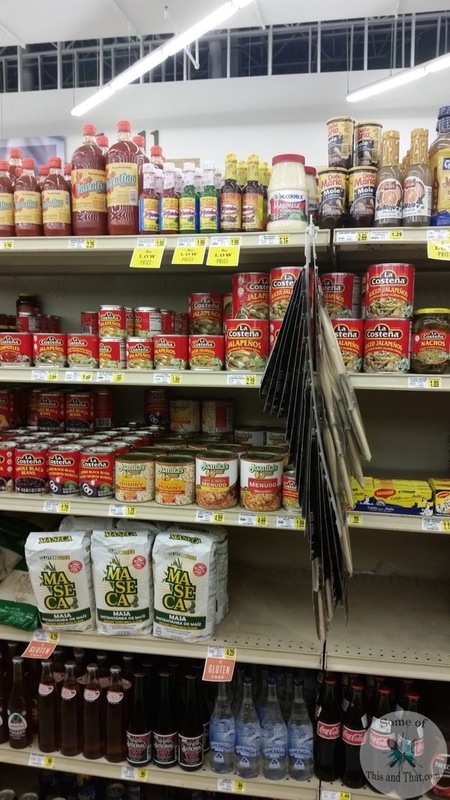 There is just enough liquid for the Oyster crackers to sop up…. Anyone else love Oyster crackers as much as I do? I could eat them straight out the bag…yum! You can add as much heat to this recipe as you want, I like mine with a little kick. If you like a more mild heat, don’t add as much jalapeno. You can also throw this into a slow cooker and let it simmer all day! In a large pot, brown ground beef. Add in onions, garlic, green pepper, jalapeno and sauté until onions are translucent. 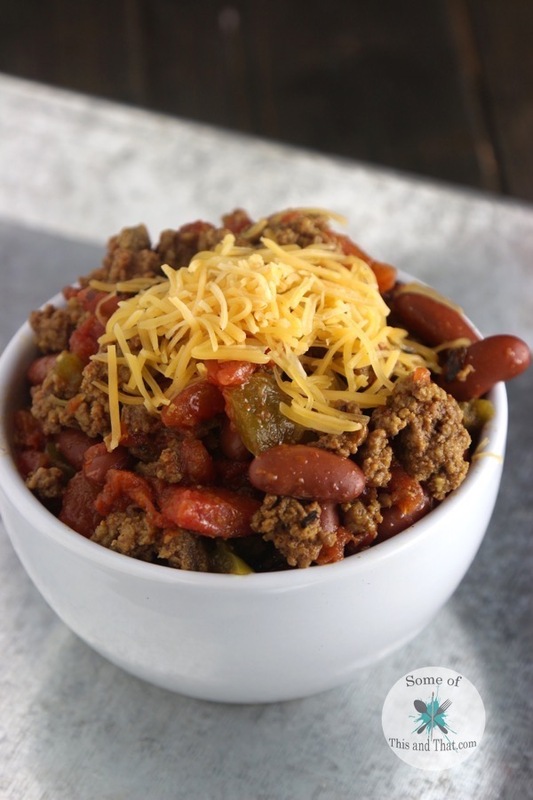 Reduce heat to low and add in seasonings, tomatoes and kidney beans. Simmer for 15-20 minutes. The longer you let simmer, the better this recipe gets! 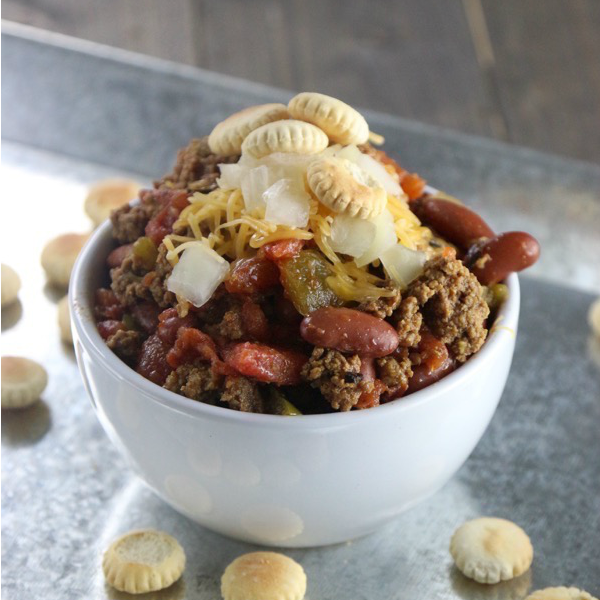 Top with your favorite chili add ons like cheese, onion... or of course, Oyster crackers. 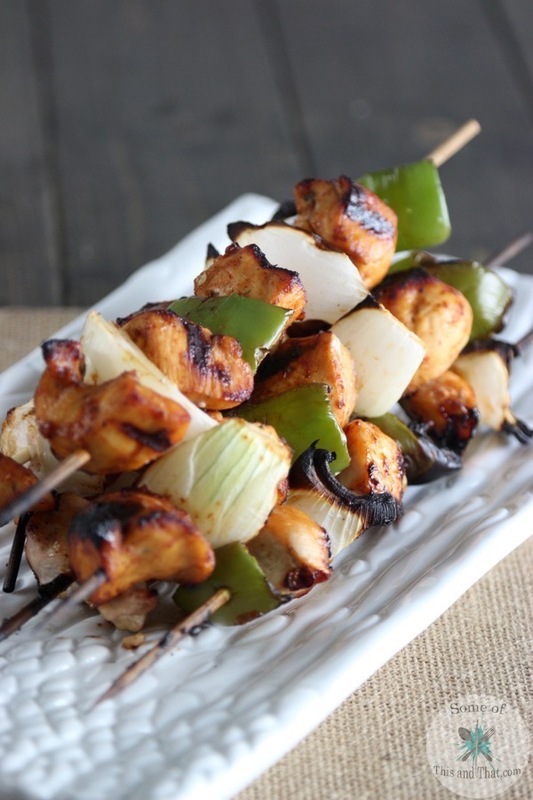 Sweet and Spicy Chicken Kabobs! Summer is here Ya’ll! Living in the South means I can pretty much grill year round, which I love because it is less clean up and nothing really beats a meal grilled. 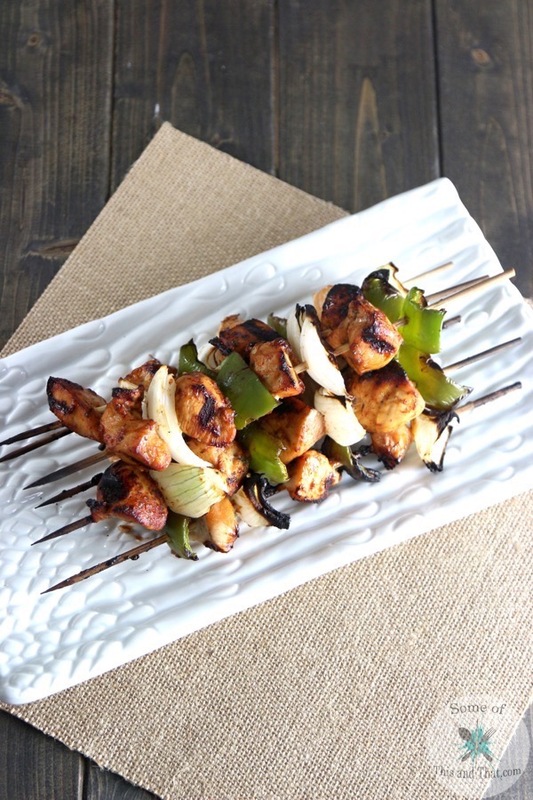 These Sweet and Spicy Chicken Kabobs have become an instant family favorite in our home! I love the way veggies get that char and become a little crispy around the edges… so yum! 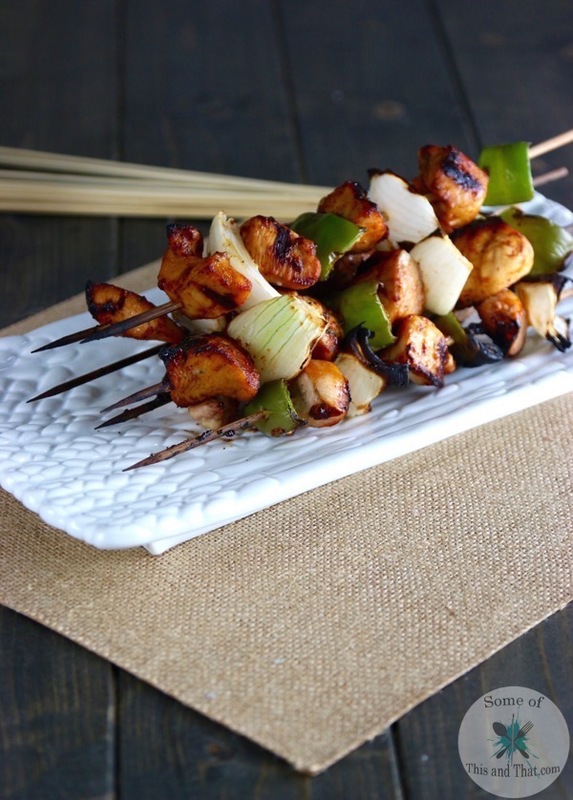 If you like a little kick to your food, this recipe is for you! 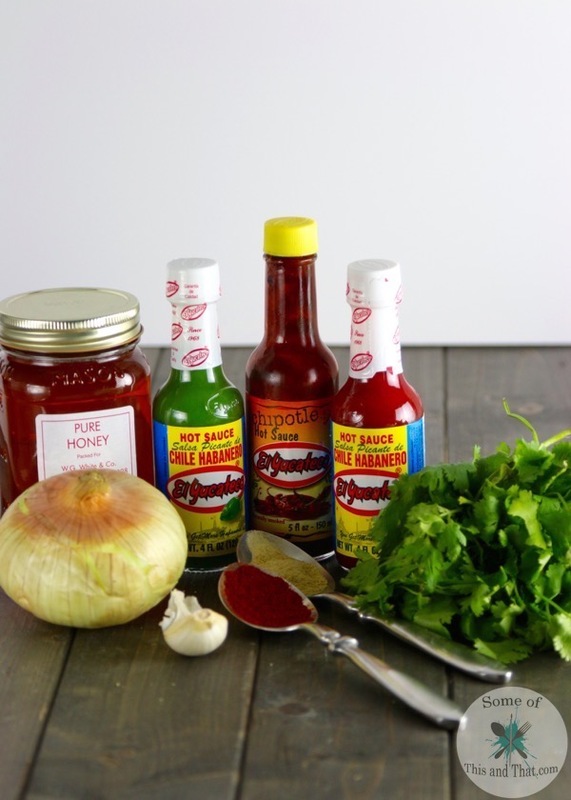 I used the marinade for our chicken, but it is pretty darn awesome on steak as well. Hubby uses it as a dipping sauce for his french fries… It is THAT good! It has a major kick, but it is not an overwhelming spicy. For this fun summer recipe, you will only need a few ingredients and clean up is a breeze! That is the one thing I LOVE about grilling is that there are less dishes. I like to use a baking sheet covered in foil to carry the food out to the grill, when the food is almost done cooking, I take the baking sheet in and change out the foil to carry it all back. For this recipe I used the El Yucateco Red Habanero Hot Sauce, but you can substitute with theEl Yucateco Chipotle Hot Sauce, which I found at my local Lowes Foods. If you are craving a little more heat, you can always go bold with the El Yucateco Green Habanero Hot Sauce that packs a little bit more of a punch than the Red Hot Sauce! I absolutely love the El Yucateco Chipotle Hot Sauce and use it straight from the bottle on my steak. In a blender or food processor combine all ingredients for the marinade and pulse until combined. Reserve 1/2 Cup for basting. 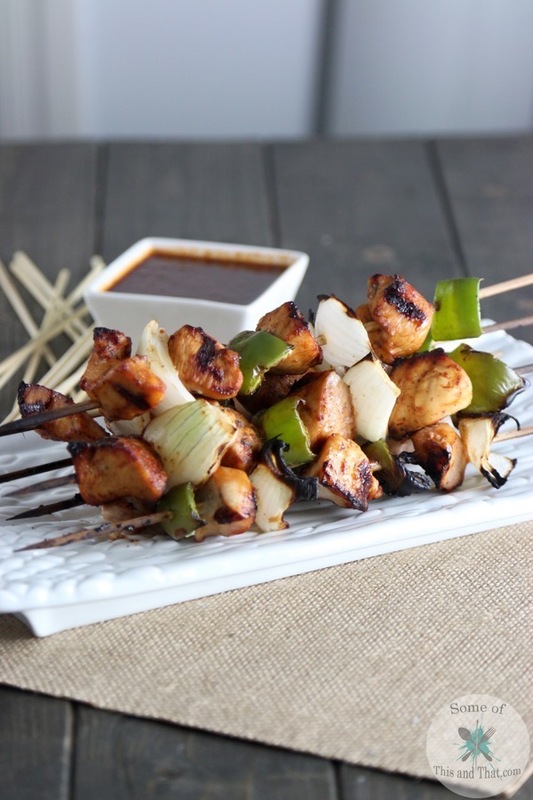 In a large bowl or sealable bag combine chicken and remaining marinade. Refrigerate for 1 hour. 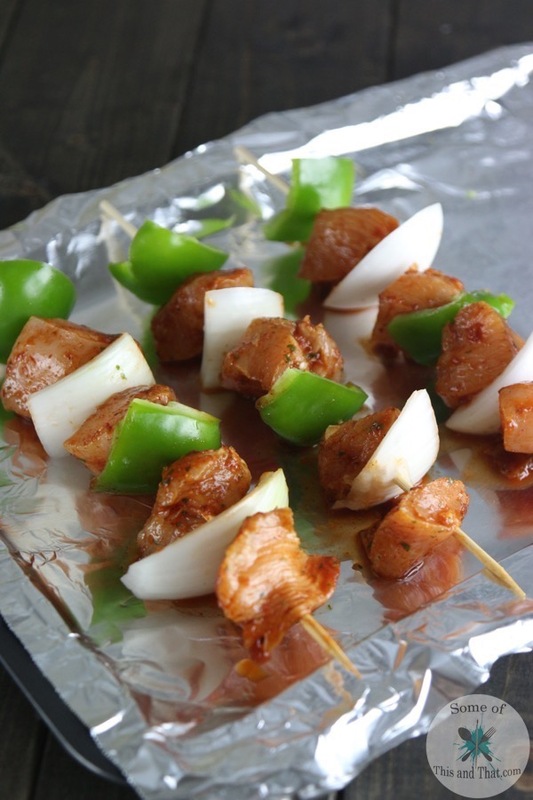 For Kabobs add chicken, onion and green peppers to skewers and grill. Use the reserve of marinade to baste the chicken and veggies as needed. 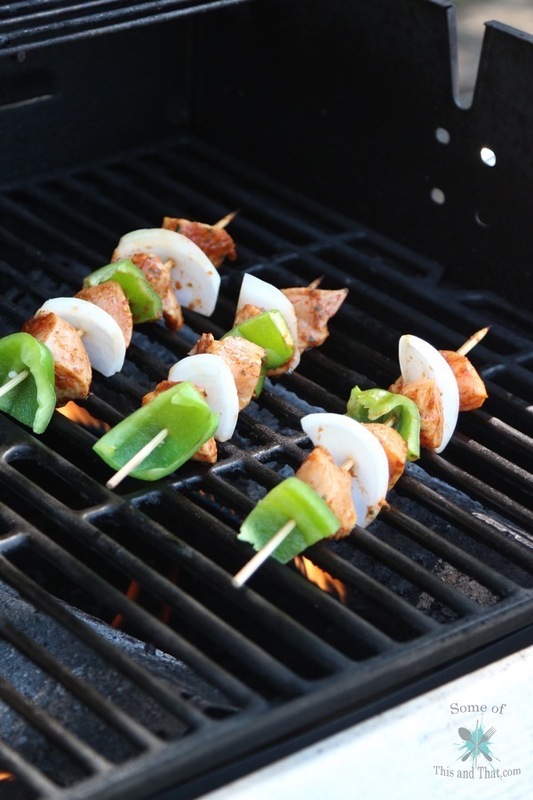 What is your favorite thing to throw on the grill? Let us know in the comments below! I came to the realization this week that 90% of the meat in my freezer is chicken…. Lots and lots of chicken. I don’t know about you, but my family gets food bored, so the same old chicken recipes over and over again will most likely cause a riot in my home. So, I knew it was time to mix things up a bit. We love Mexican food in our home, and we usually give it a cultural twist because my hubby is Hispanic and I am Polish/German. 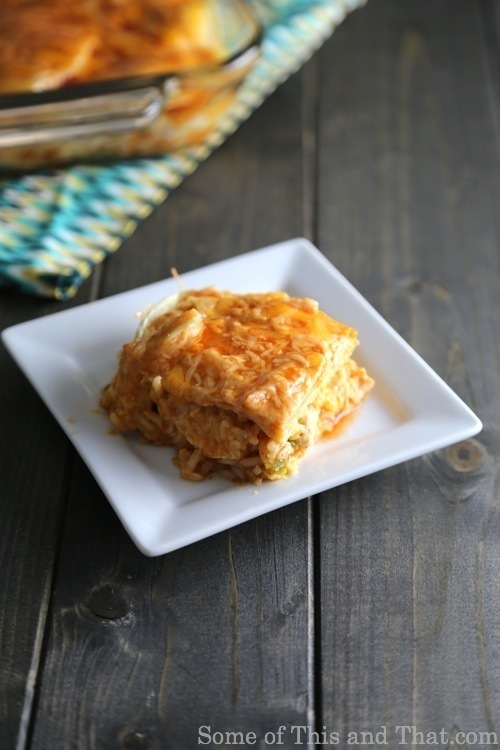 This week I put some of that Zaycon chicken to work making this simple Chicken Enchilada Casserole! This recipe is super easy, and will sure to be a hit! I also love it because it makes a great freezer meal! Put it all together and freeze it for one of those nights where you just do not feeling like cooking! 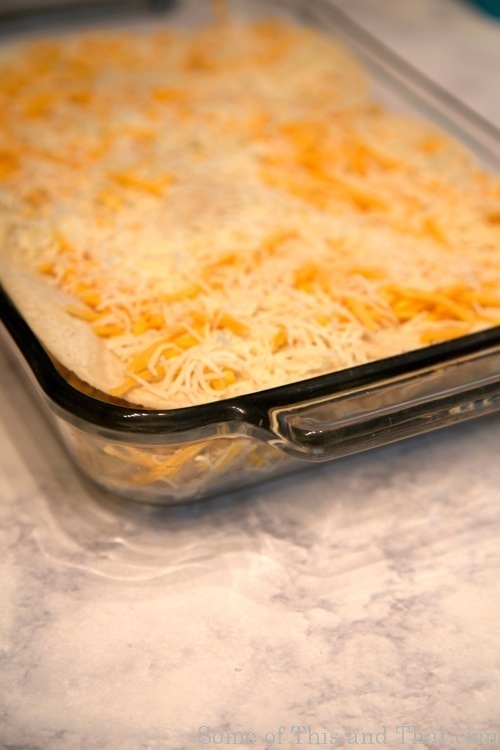 To make all you do is take a 9×13 baking dish and place a layer of corn tortillas down…. 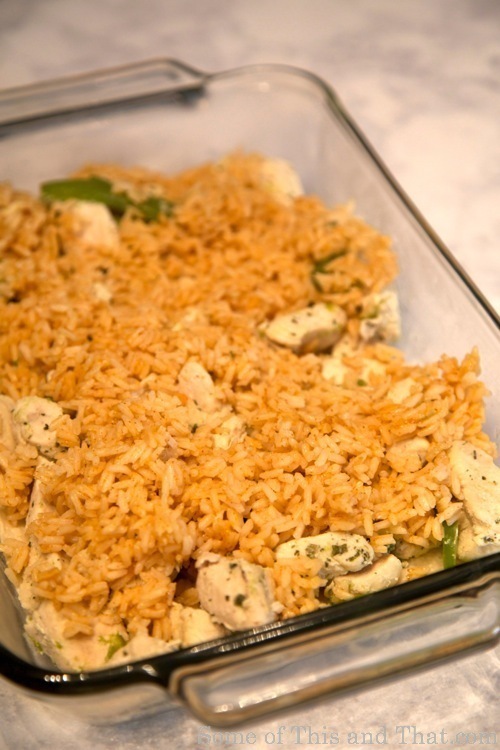 Layer on your cooked chicken… Top with spanish rice…. 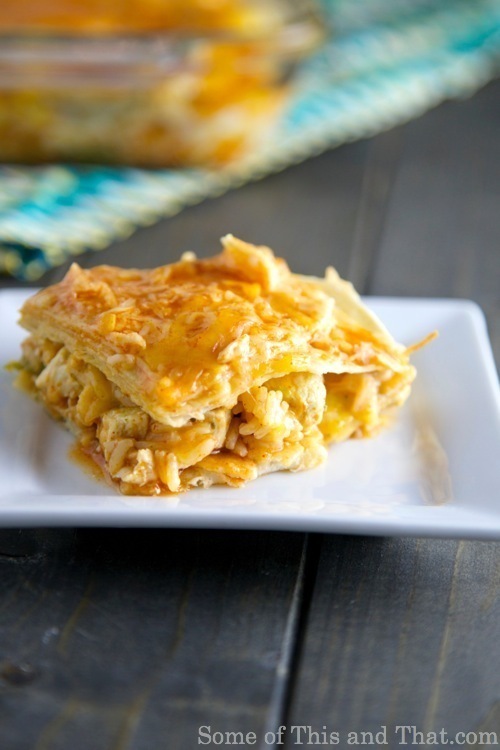 And some yummy cheese… Top off with another layer of corn tortillas, cheese and Enchilada sauce…. And bake! Super easy! 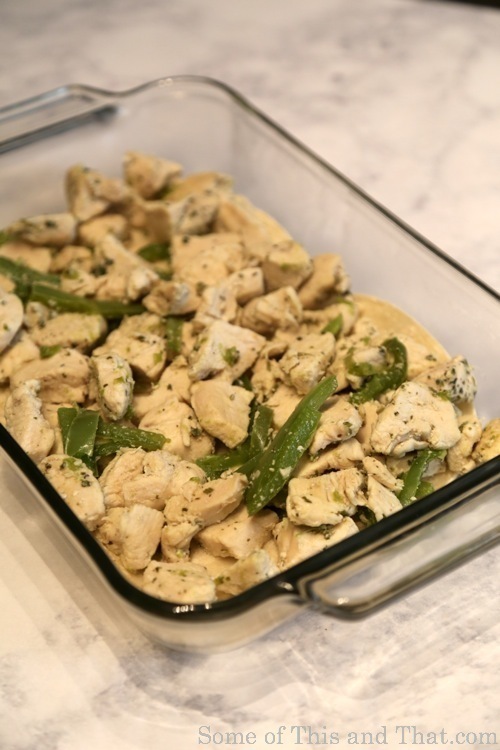 This is also another great recipe for left over chicken! In a skillet saute chicken, pepper and garlic. Once chicken is cooked through, add in cilantro and remove from heat. While chicken is cooking, combine all of the rice ingredients into a medium, non-stick skillet. Bring to a boil, then cover and reduce heat to low. Simmer for 25 minutes. 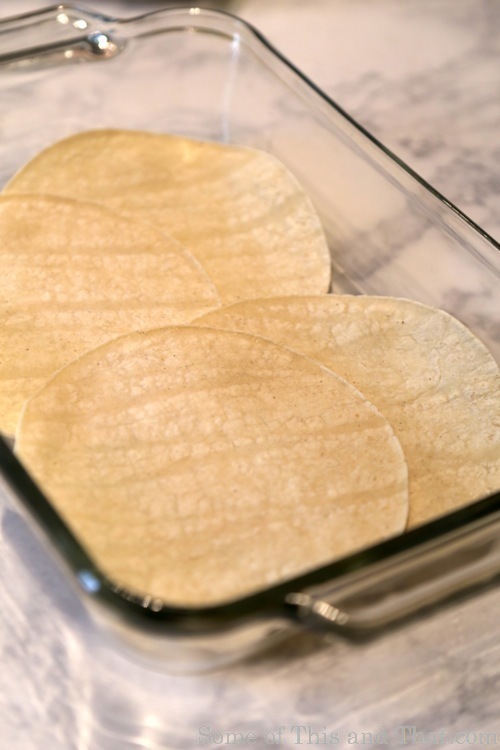 Once chicken and rice are cooked, cover your baking dish with a layer of corn tortillas, overlapping a bit. 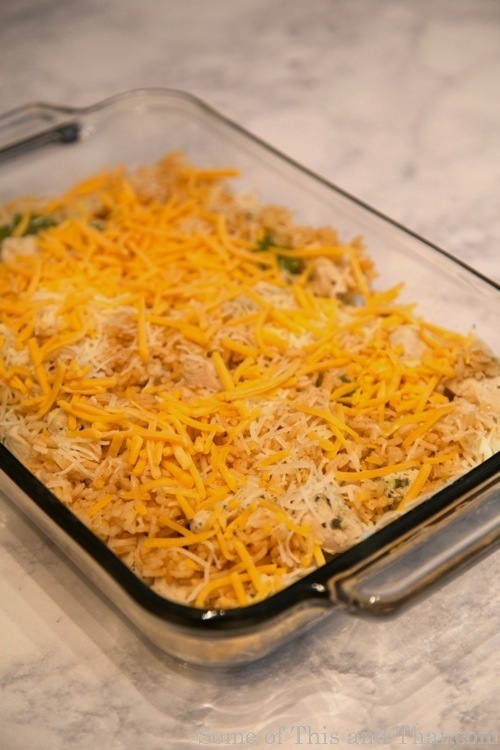 Layer on chicken, rice and 1 cup cheese. Cover with another layer of corn tortillas and cheese. 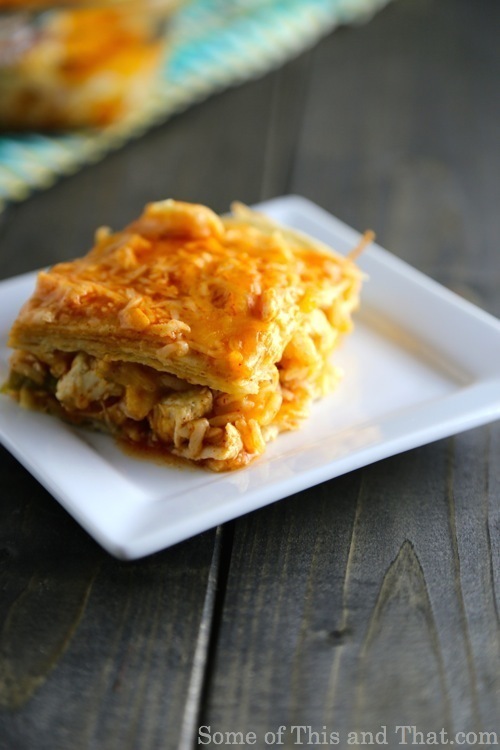 Pour over enchilada sauce and bake for 30 minutes, uncovered, or until cheese is melted and bubbly around the edges. WOW! Where did summer go? If you haven’t noticed, I have been a bit MIA these past few weeks (if you haven’t noticed, it’s ok, I still love you). I have been super busy with getting the kiddos ready for school, and we were actually able to go on a mini vacation, but that is another post. The temperatures are still in the high 90’s here in North Carolina, but I have fall and winter on the mind. I am sick of the heat to tell you the truth. 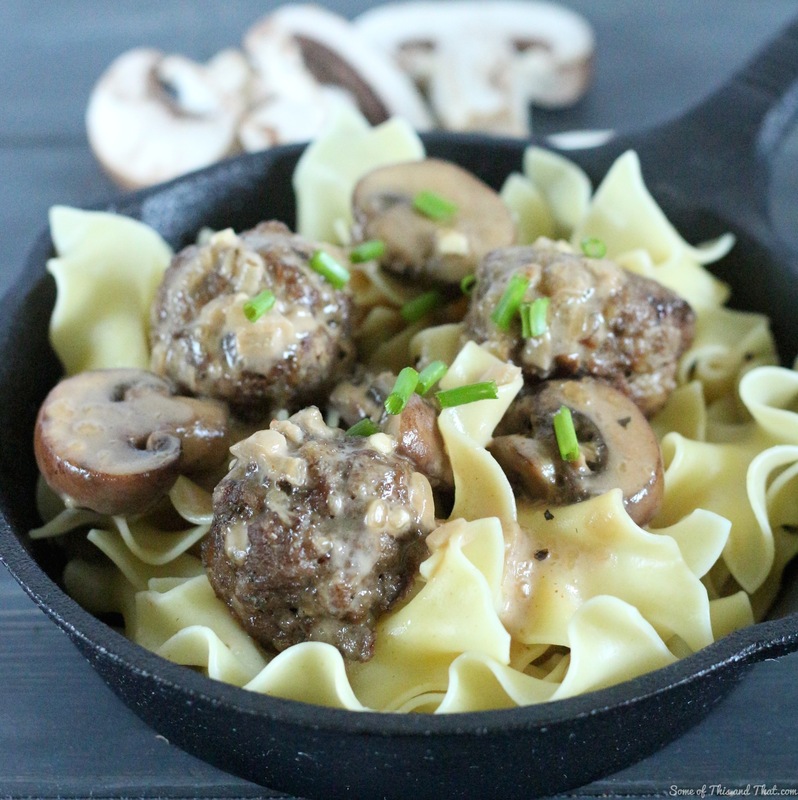 This Swedish Meatballs with Mushroom Cream Sauce was just the right dish to kick off the cool weather that is HOPEFULLY coming our way soon! 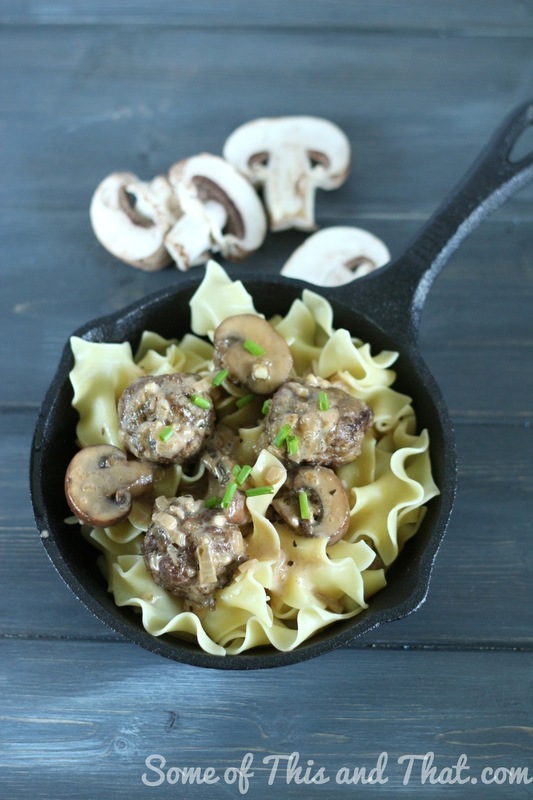 It is a simple dish, and the meatballs can be easily made ahead of time and froze for later use! SCORE! In a mixing bowl, combine all ingredients for the meatballs until well combined. Roll into 1 inch balls and place in a lined baking dish. Bake for 25 minutes, turning occasionally to brown all sides. In a heavy bottom skillet, melt butter and sauté garlic, onions and mushrooms until onions are translucent. Gradually add in flour, whisking constantly. Add in beef broth and continue to whisk until well combined. Allow to simmer for 3-5 minutes, stirring occasionally. Whisk in greek yogurt and add salt and pepper to taste. 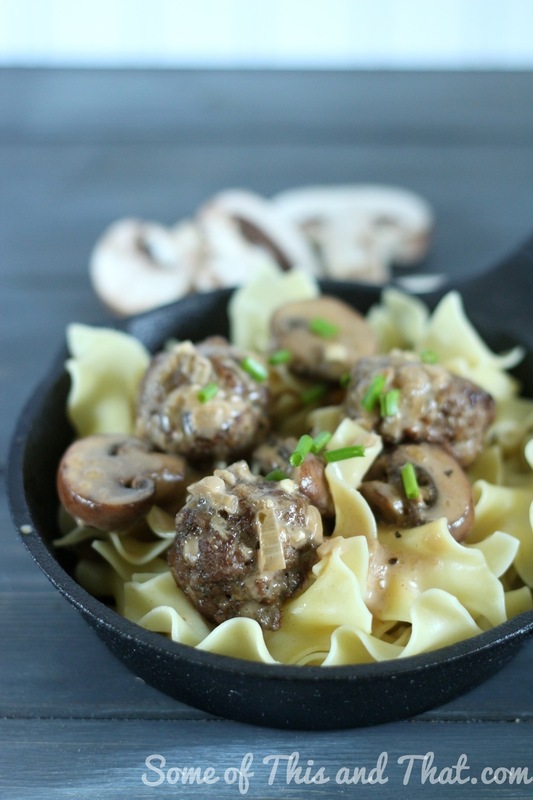 Serve over a bed of Egg noodles and enjoy!